Add a bike and hike tour through the natural and cultural landscapes of the Mørkrid valley to your Norwegian fjord holiday. Add a bike and hike tour through the natural and cultural landscapes of the Mørkrid valley. The tour goes to the impressive Drivande waterfall, which will leave a refreshing mist on your face. On this tour you can learn about daily life and the cultivation of the valley’s land in the olden days in the area around the Mørkrid valley and Breheimen National Park. You will also get to sample a traditional Norwegian lunch pack used by locals when going to the mountains in the olden days. The tour starts from Skjolden and continues through the peaceful Mørkrid valley by bicycle. The biking trip lasts about 1 hour and is manageable for most, since the ride is 7 km one way on a mostly flat terrain. The guide will stop, show old pictures and tell you about how people lived their lives in the olden days and how they developed their way of living in the areas around Skjolden and Breheimen national park. Hear about daily life in the valley, the moving of cattle and goats to spring and summer pastures, efficient use of land and animals, and the hard work that went into preparing for the cold winter. 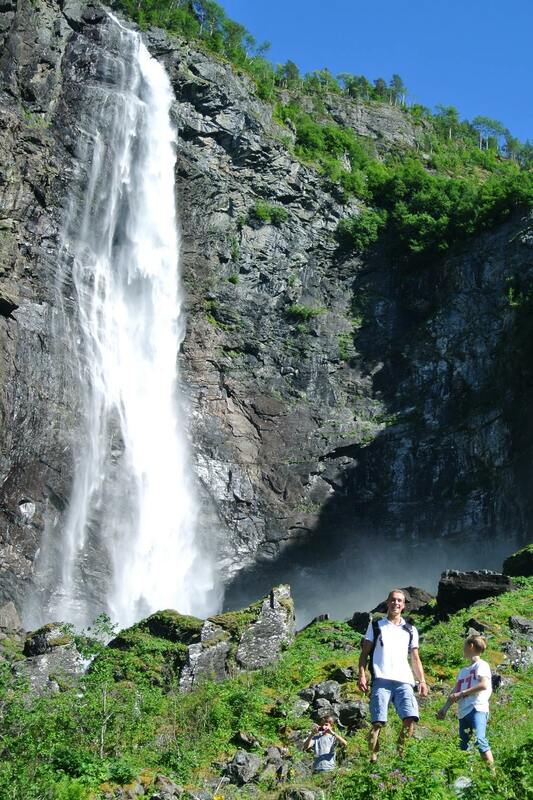 After about seven kilometres of biking, we continue on foot up to the impressive Drivande waterfall. The hike lasts approximately 30 minutes at a leisurely pace on a rocky but well maintained mountain walking trail. Bring clothing and footwear suitable for the weather conditions and for walking. At Drivande waterfall you sit down to rest and taste some flatbread and cured meat, while you enjoy the cascades close-up and hear stories from the area. When you are satisfied and ready you take the same route, by bicycle, back to Skjolden.